In 1988, the rusty remains of an engineering experiment were found buried at the bottom of a lift shaft at Holloway Road station. 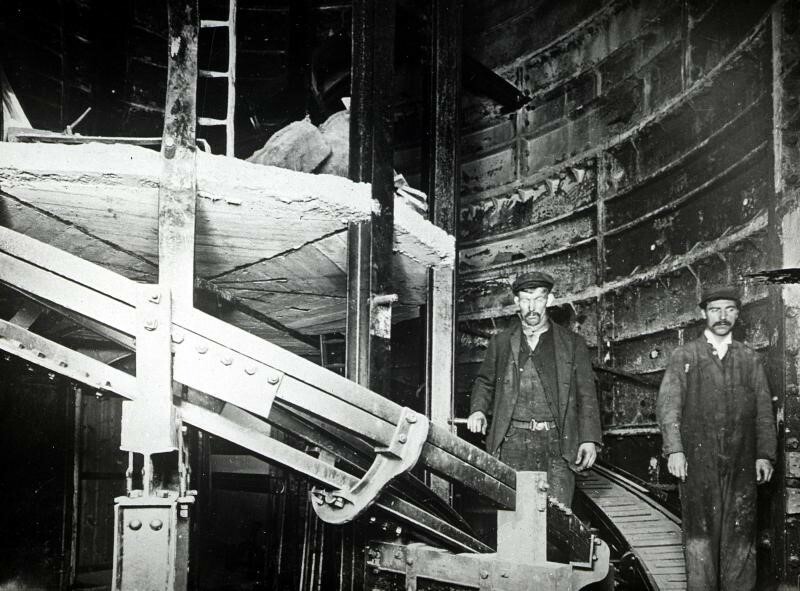 The remains were of a spiral escalator which had been installed in 1906, but abandoned shortly after – probably due to safety concerns. It seems that the complex design was flawed and there is no evidence that the escalator ever entered passenger service. It was dismantled in 1911 and only found later during maintenance work. 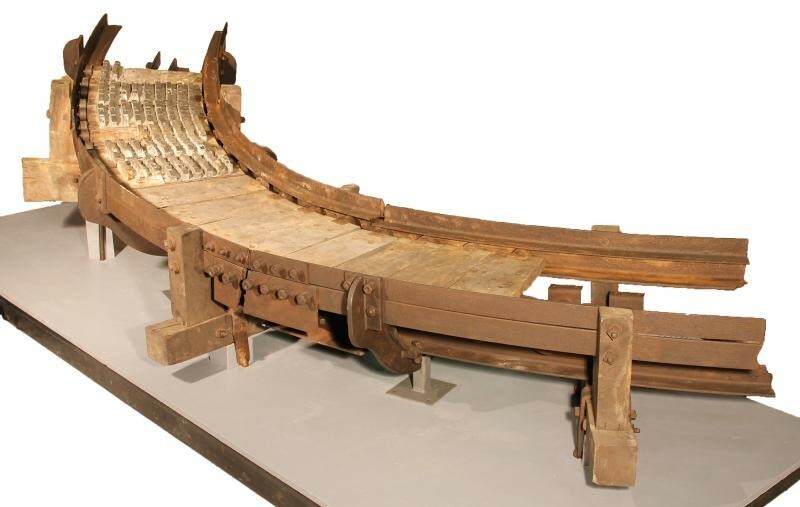 In 1993, London Transport Museum rescued the surviving parts of the escalator from the lift shaft and later restored a large section, which can be seen at our Acton Depot. A smaller section will soon be going on display in our new Future Engineers gallery, opening in October 2018. Just five years after Reno’s failed attempt, the Underground’s first escalators were installed at Earl’s Court station in 1911. To allay any fears, a disabled man – William ‘Bumper’ Harris who had lost a leg in an accident – was invited to ride the escalators and demonstrate the safety of the new machines. The escalators were so successful that they began replacing lifts on the network, which up until then had been the main way of getting passengers from deep level tunnels to the surface (and vice versa). In 1913, the Underground Group commissioned a poster to celebrate the opening of the new Bakerloo line extension to Paddington station. 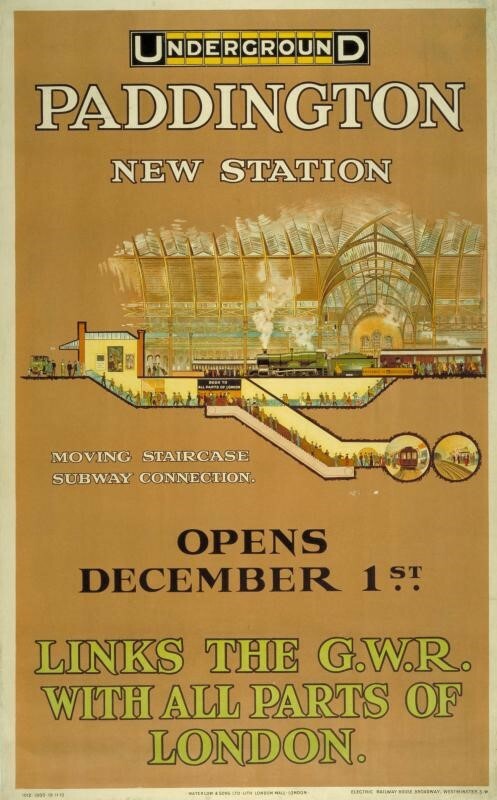 Featuring prominently in the poster was the exciting ‘moving staircase subway connection’ – obviously considered a strong selling point for passengers tired of taking the stairs. There are 440 passenger escalators on the Underground network today, and in its 40-year lifespan, an escalator will travel the equivalent distance of a trip to the moon and back. Reno’s dream of a spiral escalator has also become a reality – Mitsubishi Electric have been designing and installing spiral escalators around the world since the 1980s.